Marie Kondo said that "if you want to meet a beautiful home that is just right for you, take good care of the one you live in now." Well, since I have started my Konmari journey, I have to admit that clearing out clutter has done wonders for me in terms of opportunities that open up. It's like I cleared out space to make room for new beginnings. With only books and komono left to get rid off, I would like to begin to make way for the future, my future home! I'll start with the kitchen. 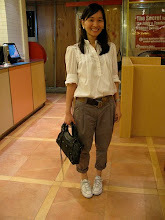 Discovered Scavolini via Stenie Coyiuto Tay's post on Facebook. 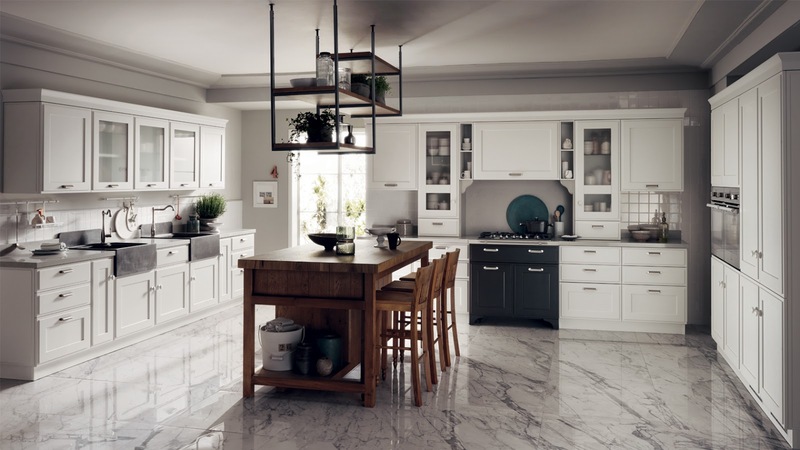 So I googled Scavolini and discovered the Favilla series in their site. Now this is my kind of kitchen! There are bits and elements here that I want for my future kitchen. 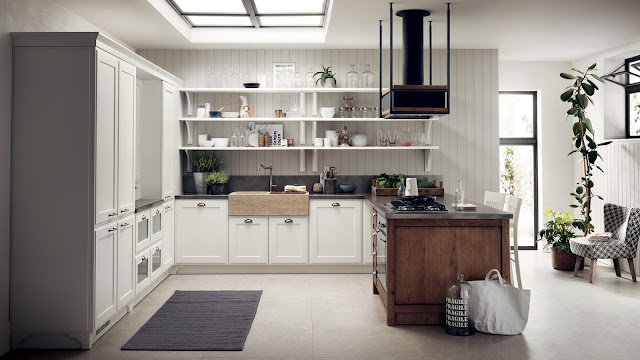 - I like the stove and air vent, although I also want something more traditionally French like Lacanche or La Cornue. But since servicing locally might be an issue, then that's something else to consider. There's always La Germania. Ahahaha. My friend Mish Aventajado swears by the Viking range of kitchen equipment too. They have a responsive service team, says Mish. So I'm seriously making a mental note on that as well. - The wooden table. Our current dining table can be resurrected as a kitchen table. 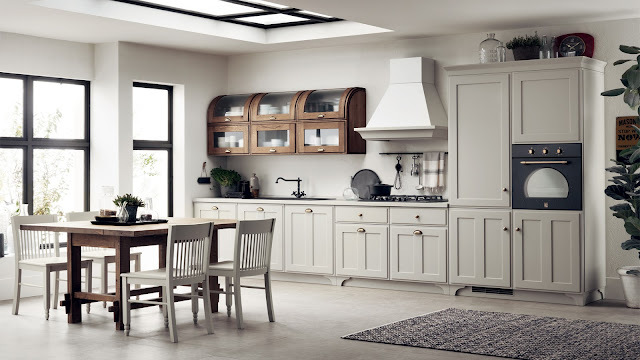 Our Tolix chairs which we currently use as our dining chairs will totally fit right in this style of kitchen too. - I like the farmhouse sink. Not in this color way. I'd go for the traditional white one. I like the idea of gray countertops. Maybe in soapstone. - There's something alluring about the open shelving. 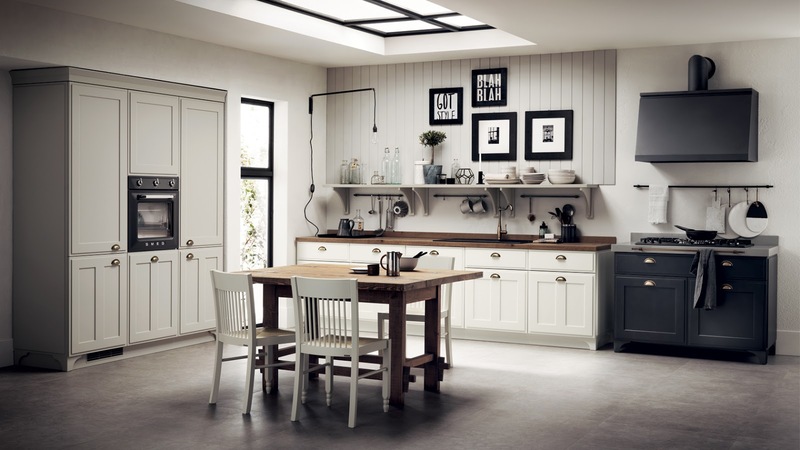 The all white cabinets also reminds me of Diane Keaton's Hamptons kitchen in Something's Got to Give. I like that the refrigerators aren't entirely seen. The kitchen in the Airbnb apartment we stayed at in Paris had the refrigerator and freezer concealed in the cabinets. I loved it. - Again, that wooden table in the kitchen. And that walled unit with the curved top door! It's a toss up between open shelving and this. Or there might be a way to incorporate both and use this walled unit as an accent piece. - Double farmhouse sinks. In gray. Not bad when set against white cabinets. - Instead of marble flooring, I'm thinking of how I can include a marble topped French country kitchen table in my kitchen. Yeah, I'd like marble elements too. - For feng shui reasons, I wouldn't put the stove right across the sink, but the gray countertops on white cabinets? Pretty. 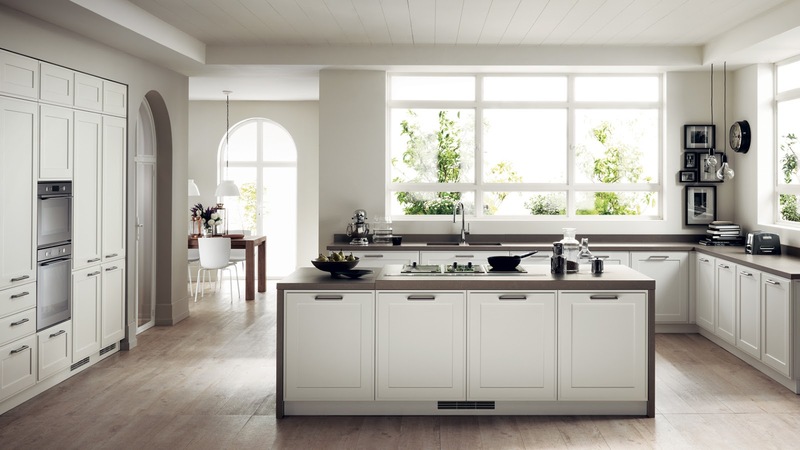 I also like that the kitchen appliances are seamlessly integrated and do not stick out. - Love the big open windows! I want a kitchen with big windows for light to stream in. But where to put the open shelving and walled unit I want? Need to figure out a way to do that. Now, all I have to really do is figure out a way to incorporate all the elements I like into one kitchen. Universe, I'm up for it! P.S. Dada and I have figured out how we want our entryway to look like. I also know how I want our stairs to look like. 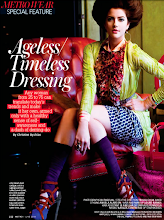 It's kind of a mix of a Parisian/Upper East Side look we're going for. I've started to gather pictures, and I can't wait to put it up here! Do Your Kids Speak Filipino? I didn't realize how big of issue this has become now among my mommy friends. You should hear the tinge of panic and regret in their voice when we talk about Filipino homework and tests. I should have seen it coming 5 years ago. 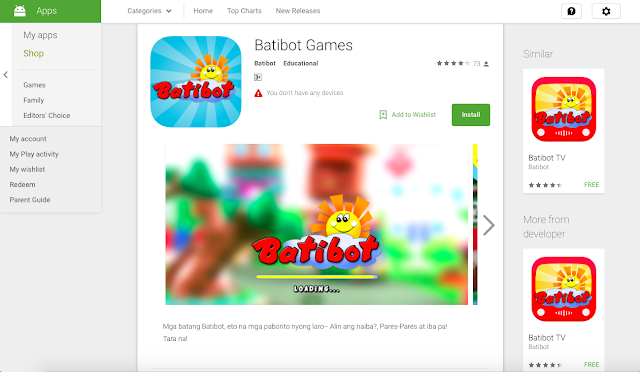 "Mas magaling pa mag-English mga bata dito kay Berry!" my Mom jokingly told me then, when I brought Berry to Manila for her very first vacation, after spending all 2 years of her life abroad. "Syempre. Kinakausap ko din sya in Tagalog, Mom." I explained a bit incredulously. As it turned out, it seemed that in the short time that we were living overseas, kids back home in Manila had forgotten how to speak the language. 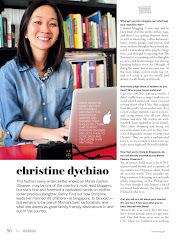 To a point that my friend Jen Tan had to tell me, "Tin, talk to your kids in Filipino, they need to learn it so you won't have a hard time tutoring them at home!" It's gotten quite sad really, when Filipino kids don't even know how to speak Filipino. It's not funny and it's not cute. And no, it's not a sign of progress. Like talking in Filipino makes one uneducated, baduy or masa. Wittingly or unwittingly, many in our generation, especially parents of young kids, have gotten lazy with the language. Most of us don't speak Filipino purely anymore. More often than not, Taglish is the norm. I'm guilty of that too, and sometimes, my kids still ask me, "What did you say, Mom?" when they hear me say a Tagalog word they have never heard of before. 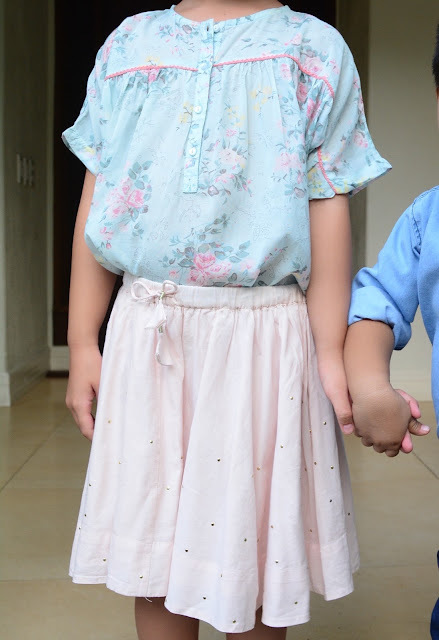 Thankfully, my mommy friends at BetterMe.ph, who find themselves in a bind, having a hard time tutoring their kids in Tagalog in school, have come up with three easy to do tips for getting our kids to speak more Filipino. Watch it HERE! 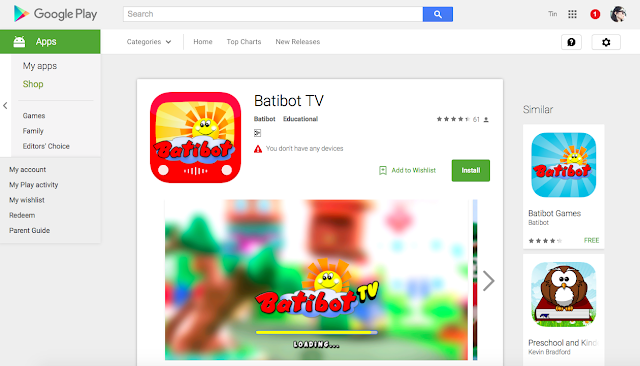 So here's where Batibot comes into the picture. Yes, as in the Batibot many of us grew up watching. They have come up with apps that encourages learning in Filipino. Our kids can watch shows, learn how to write the alphabet, play games and such. Just simple but educational lessons that they need, as in right now. It's a quick an easy start. 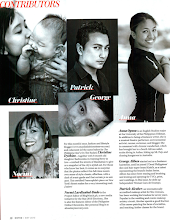 And hopefully, the road to getting our kids back on the Filipino track! The things we take for granted: A good breakfast. Wait, make that the folks who sacrifice sleep just so we have food to eat. Gotta hand it to McDonald's for bringing the sacrifices of our fisherfolk to light. Speaking of light, in the early morning of March 14, for the fourth year in a row, McDonald's celebrated National Breakfast Day by delighting Filipinos across the country with free McMuffin sandwiches. With over 400 stores nationwide who took part in the event, folks trekked to a participating McDonald's store from 6 AM to 7 AM, for their free breakfast treat via dine-in, take-out, and drive-thru. The brand’s most recent endorsers Alden Richards and Maine Mendoza, popularly known as "AlDub", gave McMuffin sandwiches to customers in McDonald’s Bluebay Walk, Pasay. Other celebrities who were present in different stores around the metro included Xian Lim, Enrique Gil, Janine Gutierrez, and a whole lot more. Participating McDonald’s stores nationwide further spread the morning cheer by giving 100 free McMuffin sandwiches to groups or organizations who are unable to enjoy a good breakfast because of their early or different work schedules like security guards, hospital staff, and public school teachers. And yes, the aforementioned fishermen. Thanks McDonald's for the reminder to appreciate the folks who work ungodly hours. I will pray that they will be blessed with a hearty breakfast, make that three square meals, every day of their lives! Let's Support the Green Footprints Movement! Thanks to my Mom who has gone green decades ago, before "going green" was even a thing, I've been conscious about my household's environmental footprint. We segregate our trash. Yes, even if my husband argues that the garbage guys will mix them all up anyway. I still push for it because at least, that's one household less work for the garbage guys. I compost. In our tiny garden, I put compostable trash in a receptacle that I cover with soil. Yes, I have worms and all. We use reusable bags and corrugated cartons when we pack our groceries and I refuse plastic and paper bags as much as I can. When possible, my friends and our kids carpool. That's at least one car off the road. I also have no qualms accepting and passing on hand me downs. 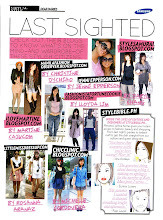 I always tell my sisters and friends, there's nothing wrong with using pre-loved, ok fine, used items. Hindi kawawa yung kids, because they grow so fast anyway. What's the point in having too many clothes and shoes they can barely use? Most of the furniture in our home are hand me downs from my Mom. Or we buy furniture from reclaimed wood, or wood that grows fast, like gmelina. As much as possible, we use organic or natural based products at home. They tend to be a tad bit pricier, but so much better for the environment. 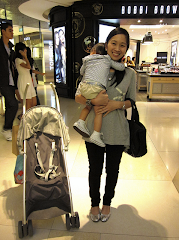 Locally, I go for Zenutrients, Messy Bessy, Cradle, and Green Mama products. They are not expensive at all. I also look for energy efficient appliances (check out the Meralco App which tells you how much energy you are consuming per appliance). I also make sure our air conditioner is set to 25 degrees (except when its super hot, heehee), and we clean the filter monthly. We have professional cleaners service it at least quarterly. We also ensure that lights are switched off, and appliances are unplugged when not in use. Which also translates to cost savings on our electric bill. When we build our own home, I'll make it a point to have solar panels, LED lights and use green materials. My parents installed a solar panel in their home, and my dad shares it is a lifesaver during brown outs. At the very least, they still have lights and hot water from their taps. 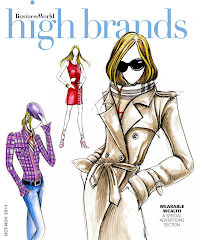 And yes, while I may come across as a shopaholic, I am in fact a proponent of thoughtful consumption. My friend Jen one time asked me, "Do you really buy everything you post on Instagram?" and I had to clarify, "Hindi! When I am out and I find something interesting that I want to remember, I take a picture and post it lang on IG." Hahaha. Admittedly, there was a time when I felt the need to buy, buy, buy. But as I grew older, I realized that I can live with less. Quality over quantity. This applies to everything in life. Always. The steps I've been taking towards green living are nothing grand or newspaper worthy, but I like to think that my drop in the bucket counts. I feel good doing my share, because I believe that every bit of action makes a difference. 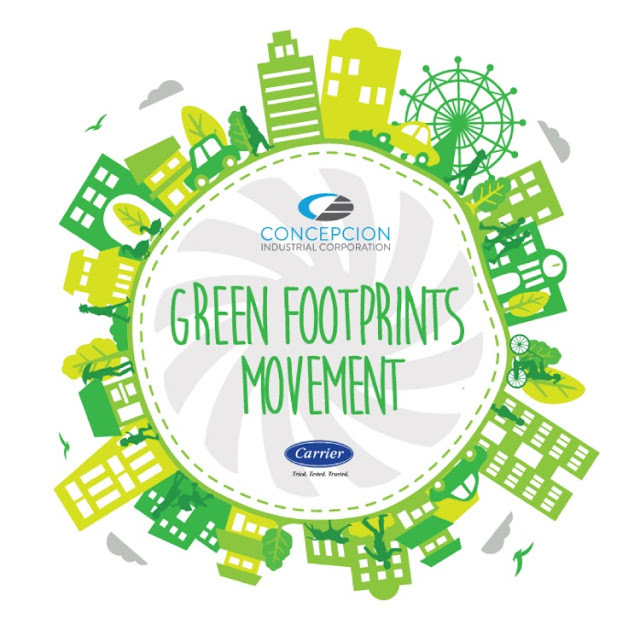 So when leading air conditioning and refrigeration solutions provider Concepcion Industrial Corporation (CIC), through its subsidiary Concepcion-Carrier Air Conditioning Company (CCAC), recently launched The Green Footprints Movement, an advocacy that drives conversation about climate change and encourages us to go green, I threw my full support behind it. “As the most encompassing environmental issue facing us today, climate change must be everyone’s agenda” said CIC Chief Executive Officer Raul Joseph Concepcion. “We want the public to be able to connect their everyday actions and decisions with its environmental impact,” shared Harold Pernikar, Jr., CCAC Director and Head of the Consumer Solutions Group. “Our goal is to provide the public with the knowledge of how they can make small, practical changes that will have significant effect on their own footprints, such as the responsible use of electricity and even making more sensible selections when it comes to the products they use in their homes,” said Pernikar. With Department of Environment and Natural Resources - Environmental Management Bureau (DENR-EMB) Assistant Director Dr. Eva S. Ocfemia; celebrity host and World Wide Fund (WWF) for Nature - Philippines National Ambassador Marc Nelson; Concepcion Industrial Corporation (CIC) Chief Executive Officer Raul Joseph A. Concepcion, Concepcion Industrial Corporation (CIC) Executive Vice President for Business Development Rafael C. Hechanova, Jr., and Concepcion-Carrier Air Conditioning Company (CCAC) Director and Head of Consumer Solutions Group Harold Pernikar, Jr.
With a long-standing commitment to the environment The Green Footprints Movement is a testament to CIC’s long-standing commitment to the environment, by exercising responsible stewardship - cultivating a culture of sustainability within the company itself, and being mindful of their environmental impact, recycling, monitoring water and waste consumption, and setting goals to reduce their footprint year after year. 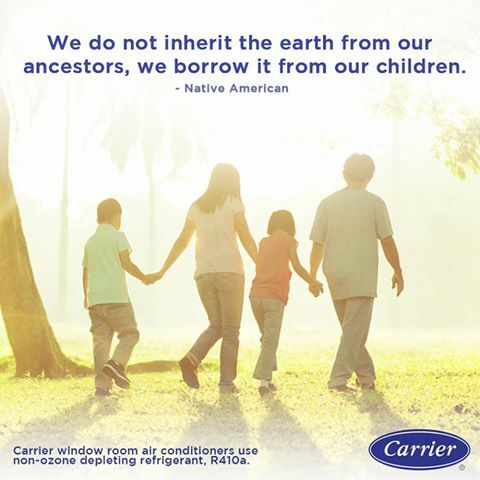 It was the first Philippine manufacturer to convert its refrigerators to use environment-friendly refrigerants back in 1995, and is once again leading the industry for its air conditioning solutions. “Ninety-six percent of our air conditioning products have already been converted to using environmentally responsive refrigerants, and we expect to make a 100% product conversion within the year,” said Pernikar, who also shared that the switch is being made ahead of the global deadlines set by the Montreal Protocol, which established a timeline for the eventual elimination of ozone-depleting substances. "With our collective actions, we hand over a better world for the generations to come." said Mr. Rafael C. Hechanova, Jr., Executive Vice President of Concepcion Industrial Corporation. 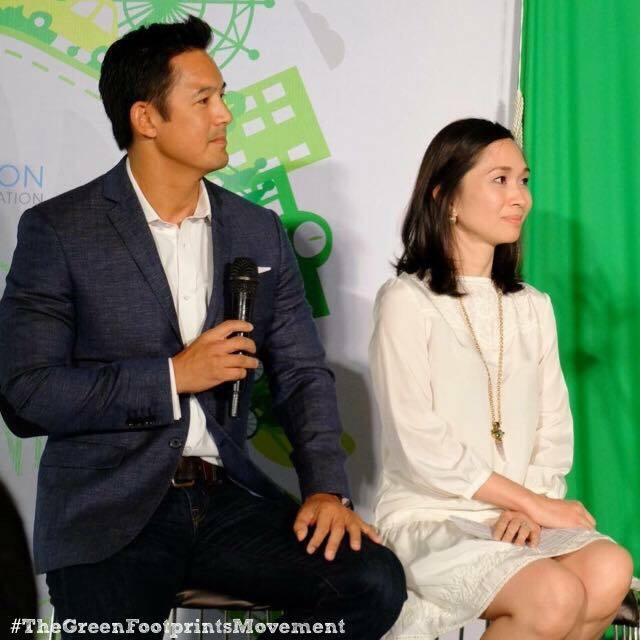 World Wide Fund (WWF) for Nature - Philippines National Ambassador Marc Nelson shares that growing up in Australia, where they are close to the equator, and more susceptible to ultraviolet radiation, their level of awareness about ozone depletion has been ingrained early on. This is also why he is an advocate of green living. Which is true. When corporations, organizations, individuals, and the government work hand in hand towards sustainable living, we will create a significant impact towards creating a better, safer environment not only for our kids, but also for the generations to come. Let's do it now. Time may be running out, but there is still time. Let's not waste it. That's a start. 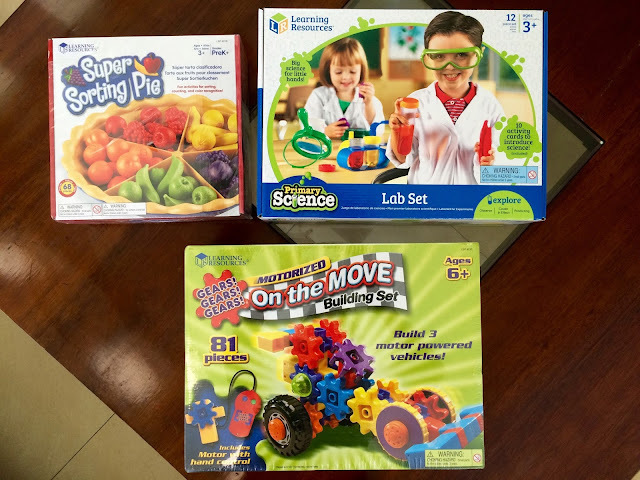 As promised, I'm highlighting here three of our new finds from Fatty Brain Toys: Primary Lab Big Science Set, Super Sorting Pie and Gears Gears Gears! 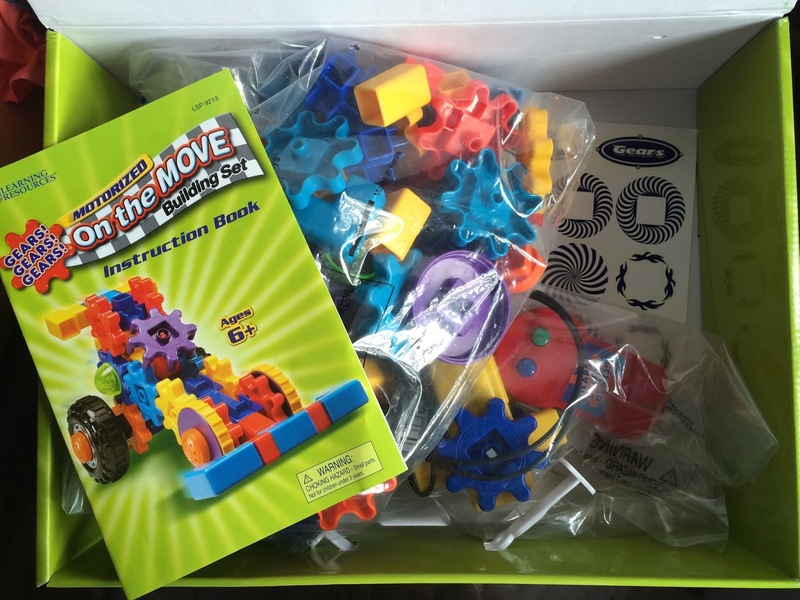 On The Move by Learning Resources. These toys are proof that learning and fun can go hand in hand together. I usually get distracted when Berry forces (forces talaga haha) me to play with her dolls in a dollhouse, but it was a different experience altogether with these. I am pretty sure you will enjoy spending quality time playing and learning with your little ones with these toys as well. Berry likes making potions using whatever she can get her hands on: my makeup (sadly she has no respect for Tom Ford lipsticks), alcohol, baby oil, water, nail polish, shampoo, conditioner, lotions - nothing is sacred. So when Mona Ng of Fatty Brain Toys told me about their Primary Science Lab Set, I knew it was the perfect way to channel Berry's curiosity. The Lab Set includes a beaker, magnifying glass, funnel, eyedropper, flask, tweezers, safety goggles, 1 large 6" test tube (with lid and stand), 2 small test tubes (with lids and stands), plus 10 Activity Cards. The tools are perfectly sized for little hands, so they're easy to grasp. For extra safety, unlike the usual lab tools made from glass, these are non-breakable. For days when we have hours of spare time, I whip out this set so they can do experiments, which is so much better than having them stay inside just watching YouTube videos the entire afternoon. Parents, you know what I mean? 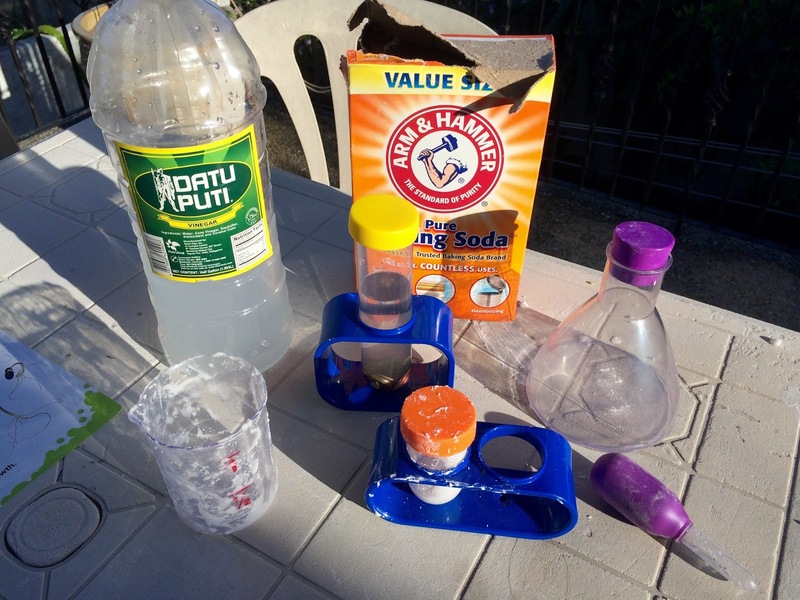 Some of the experiments we've tried from the activity cards: making a Mini Volcano using baking soda and vinegar (this was fun! like the Hi 5 Bubble up volcano), getting old coins to shine using lemon juice (to be honest, it didn't work on our 25 centavo coins, baka better on American pennies talaga) and mixing oil and water (impossible to mix hehe!). Part of our next batch of experiments this summer will be color mixing (once I buy food colouring from the grocery, I keep on forgetting), a smell test, and if we're brave, collecting bugs we can put in the test tubes. Gasp! Well, I'm pretty sure Berry can think of more experiments that doesn't involve bugs, once we've exhausted all the experiments on the activity cards. One thing is for certain, this Primary Lab Set is a winner. Berry feels like a real scientist when she plays with it. Even the boys want to play with it, shaking the fat test tubes with their little hands. Berry and Xavi love saying, "experiment! experiment!" It ain't rated 5 stars on Amazon for nothing! The Primary Science Lab Set is designed for children to discover, explore, and experiment with safe and fun products that encourage an early love of science and help foster the development of Science, Technology, Engineering and Math skills. It is ideal for ages 3 and up. To be honest, I can't resist pies. Edible or otherwise. 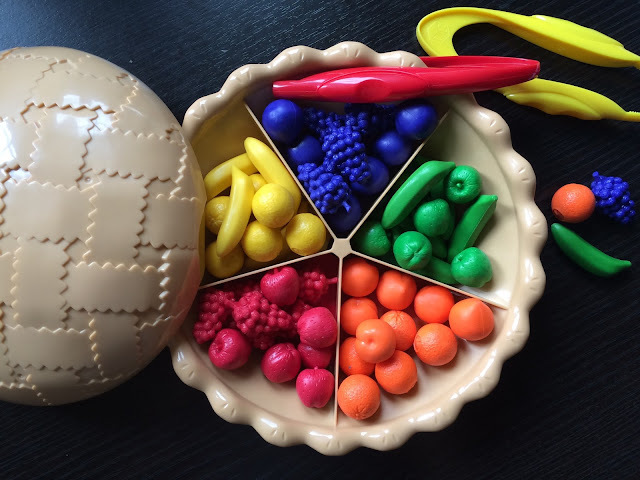 This Super Sorting Pie by Learning Resources looked like a winner, and I knew Xavi would love it as well. Especially since we're learning about colors, shapes and counting these days. 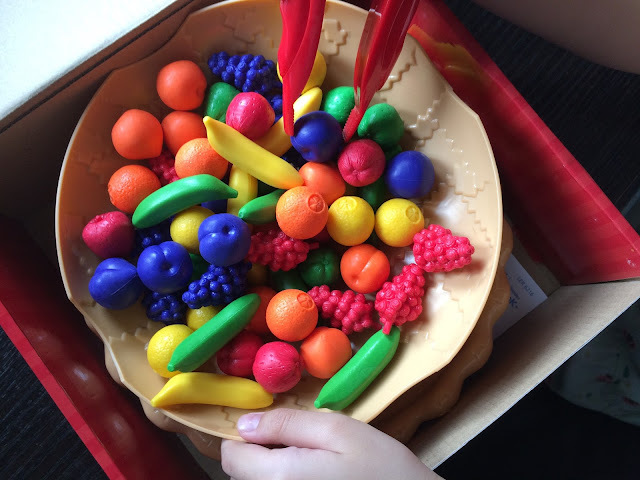 The small fruit counters and jumbo tweezers encourages our kids to strengthen fine motor skills and develop their pre-writing pincer grasp. 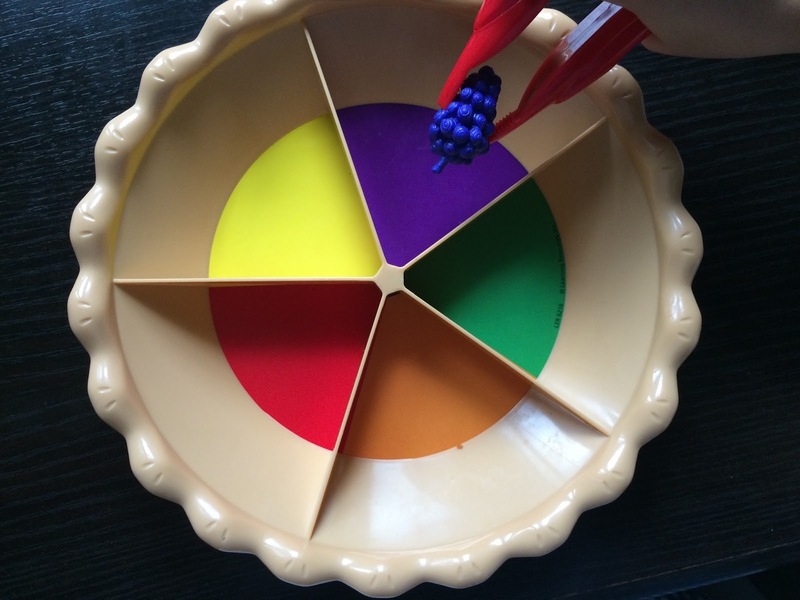 The removal top crust doubles as a bowl to hold the fruit counters. It also teaches our kids about colors and fruit shapes. The removable divider ensures the fruits don't spill into the other color section. 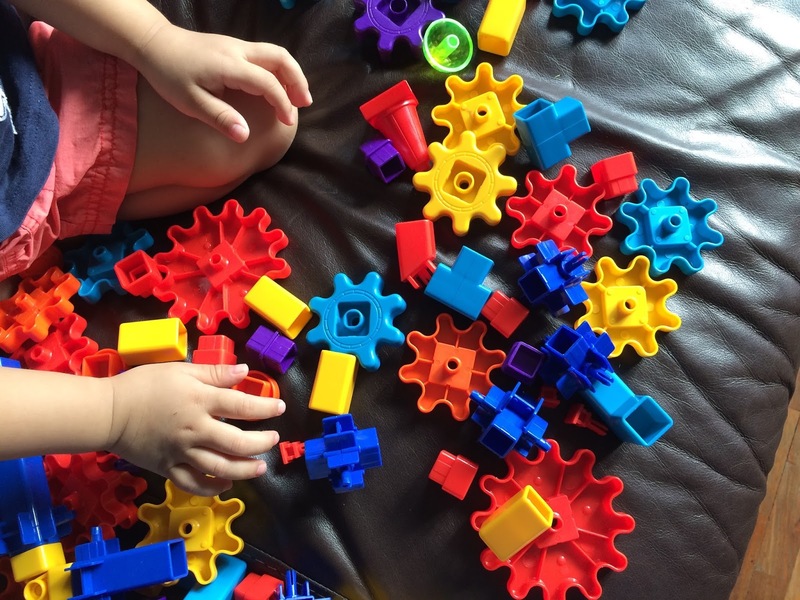 More importantly, it hones early math skills such as grouping, sorting, patterning, classifying objects, counting, learning greater than and less than, and understanding the relationship between numbers and quantity. 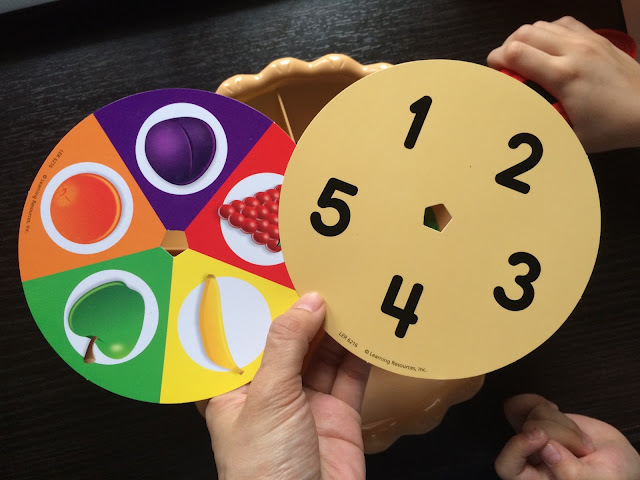 There are three double-sided sorting cards included, that fit in the bottom of the pie and provide visual cues to help our kids identify fruit shapes, colors, and numbers. So apart from sorting by color, they can sort by shape, or count, depending on what we will have them do. A winner of 3 toy awards, you can't go wrong buying this at all. I just need to keep the counters away from Tepper because I've caught him trying to pop one into his mouth. Told you, the fruits are irresistible. More so with curious little toddlers. Includes 60 counters (7 fruits in 5 different colors), plastic pie plate with cover and removable divider, 3 double-sided sorting cards, 2 Jumbo Tweezers, and Activity Guide. 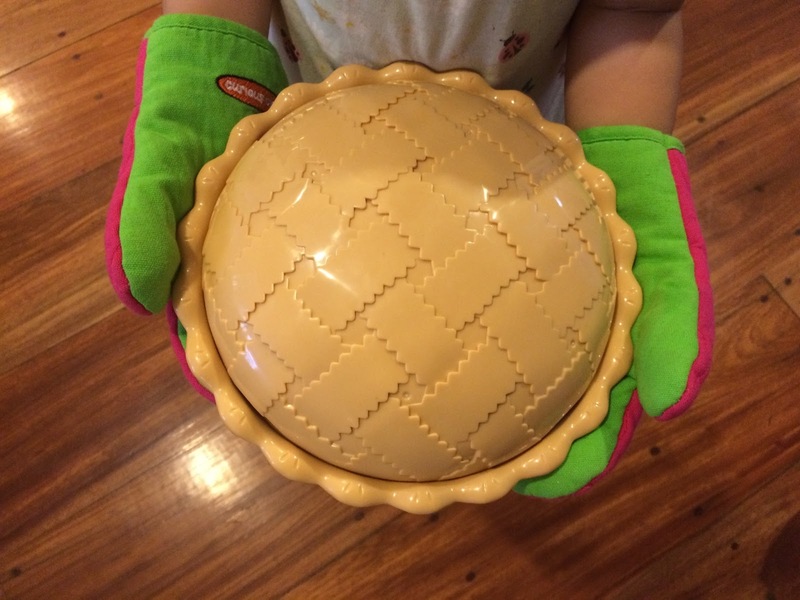 Pie measures 8 3/4"D. Ideal for ages 3 and above. While this is a bit too advanced for Xavi, it is never to early to introduce mechanical engineering concepts to him and Berry with this Gears! Gear! Gears! On the Move Building Set. I have to warn you though, building the race car, airplane and motorcyle ain't easy. A 6 year old will need your help in putting it together even with the instruction booklet. The upside? It makes for great quality time. We had to put our heads together to figure out how to build each vehicle. Definitely made my brain do some thinking, and taught me about perseverance, problem solving and critical thinking. Speaking of creativity, there is no wrong way to build actually. 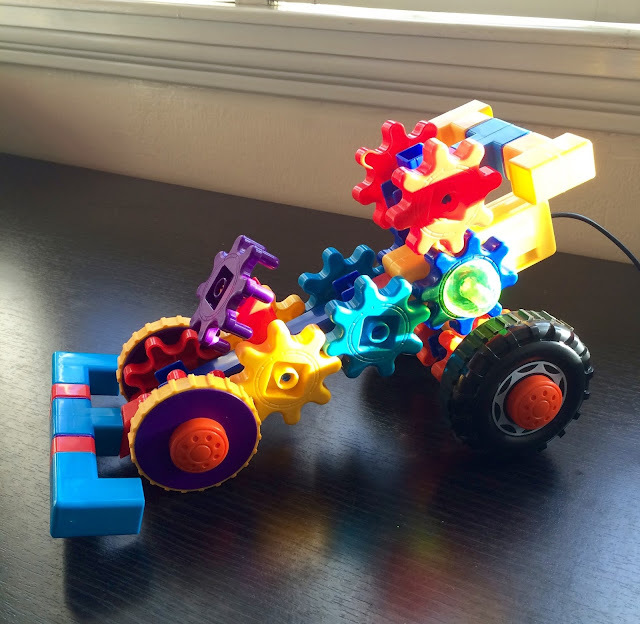 The kids are free to design their own vehicle using the gears. 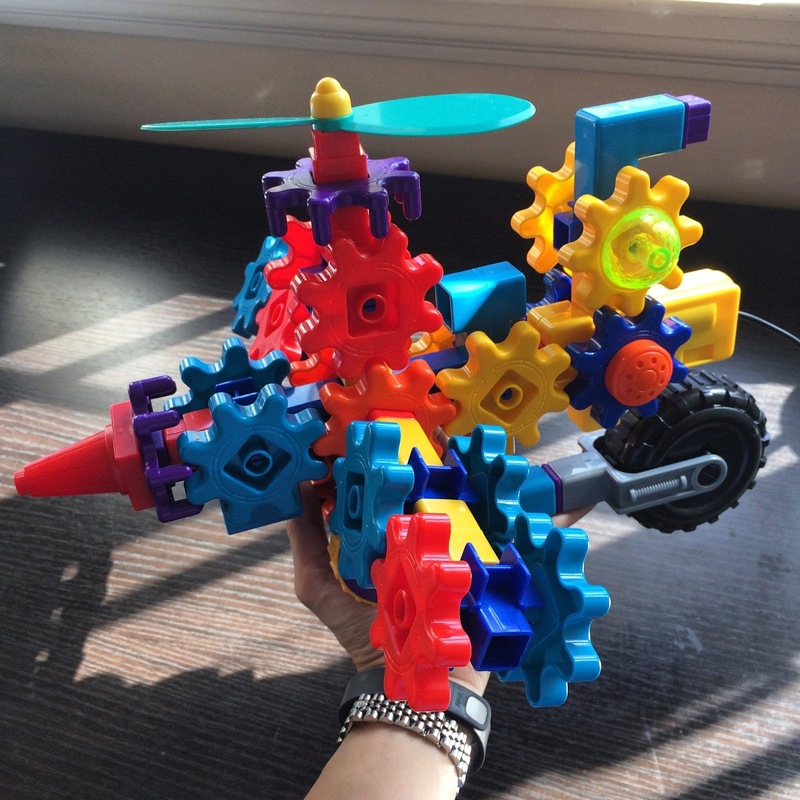 We felt a sense of accomplishment seeing all those gears moving together, even with the motorcycle and air plane not yet even fully completed! And here's our air plane! We successfully built the motorcyle too, but I didn't have time to take a photo of the finished product because Xavi was too excited to build his own toy. Heehee. This set can be used alone or with other Gears! Gears! Gears! sets. Ideal for ages 6 and above. Fatty Brain Toys are available at Rustans Alabang, Makati, Shangri-la, Hobbes and Landes Greenbelt, Rockwell, Fort, Trinoma and Shangri-la, Dash Greenbelt, Fundamentals, Toy Kingdom Megamall, Aura, North Edsa. Mighty Mind is available at Mothercare Fort and Glorietta, National Bookstore Greenhills and Rockwell, and Fully Booked Fort. This is just but a sampling of the toys we've discovered at Fatty Brain Toys. I still have plenty on my/our wishlist, actually, haha. If you would like to see the complete selection of educational toys from Fatty Brain Toys, please visit their Facebook page, Follow @fattybraintoys on Instagram or contact the following numbers below. I've always wanted a pair of embroidered slippers from French Sole. There's something fancy yet boyish about it, which by now you'd know I'm a sucker for. A few weeks ago, I finally made a go for it, and I'm pretty sure many of you have also been wanting to do this. Whenever I am at French Sole, I always find myself looking at this slipper, imagining my initials on it. But at Php19,000 a pair, it cannot be categorized under an impulse buy. I planned on saving the experience for a special occasion. Knowing how long it takes to get these slippers embroidered, because they are made to order all the way in Spain, and with Mother's Day just a few weeks away, I estimated it was about time for this mother to get it. 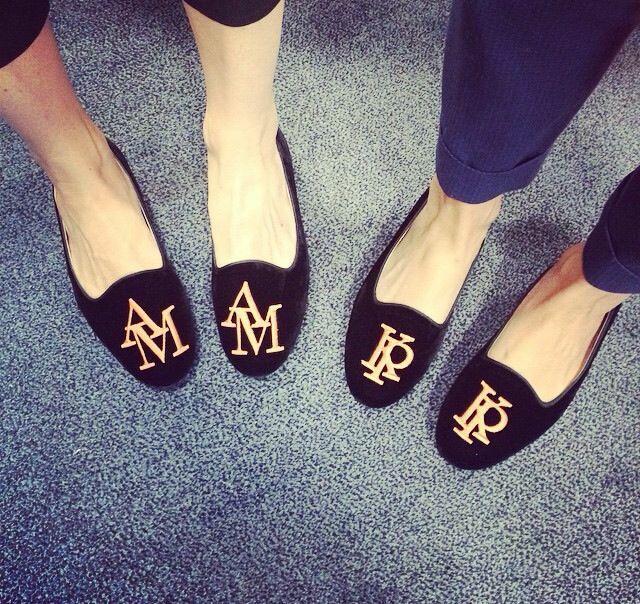 So I finally braved asking the Sales Associate about their Monogram Slipper services. I was told it takes about 90 days from order to delivery. Of course, I was already decided, and definitely willing to wait. STEP 2: Decide on your size. After some discussion on the waiting time and an overview of how to personalize the slippers, I was asked what I size I wore. I told the SA that I wear a 6.5 in French Sole Henriettas. I was given a pair of 6.5 and 7 to try on. The SA shares that most customers opt to go a half size up. Which is what I did. I went in the morning, when my feet hadn't expanded as much as it would in the afternoon. I figured I'd be better off with a 7, which while roomy, didn't fall of my feet. STEP 3: Decide on the color. This was easy. I wanted black slippers. They also have it in red, and will soon offer these in navy, but I figured, I'd still go for a classic black pair. It's more me. 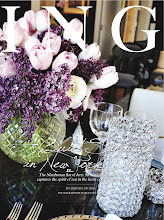 STEP 4: Decide on the initials for the monogram, color of thread, font style and layout. Font Color: Black, Red and Gold. 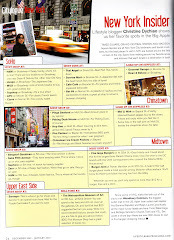 Layout: Single Serif, Double Serif, Overlap Serif, Single Script, Double Script and Overlap Script. I decided I wanted my initials "CD" on each pair. I chose the thread in gold double script, so it has a clean, elegant feel. I can imagine it already. It's gonna look fantastic. STEP 5: Putting it all down in paper. Just to make sure they get everything right, I filled up this form with my contact details, and ticked out the boxes that summarized the size, initials, font color, font style and layout I wanted. Then I signed off it! STEP 6: Pay. Then the waiting begins. This is probably the most difficult part, the waiting! Heehee. I just need to wait for the store staff to call me once the shoes arrive, for me to pick up. Note: It is up to you if you want to pay in full price, or pay half upon order and then pay the remaining half when you get the shoes from the store. My pair should arrive sometime in May, hopefully in time for Mother's Day! I'll show you my shoes once I get them! Exciting!